Mark Wahlberg Comes Clean About "The Happening"
Mark Wahlberg seems to have a little extra pepper in his step. Maybe it's because he knows his new film, "The Fighter," is a winner or maybe because he finally got a chance to work with Amy Adams. "We had actually had the luxury of having lunch before to talk about another movie and it was a bad movie that I did; she dodged the bullet," recalled Wahlberg. "And then I was still able to--I don't want to tell you what movie—alright, 'The Happening.' F--k it. It is what it is. F--king trees, man. The plants. You can't blame me for not wanting to try to play a science teacher. At least I wasn't playing a cop or a crook. But she didn't do the movie and we got the chance to work together again." Wahlberg spent four and half years fighting to get the film, about "Irish" Mickey Ward, a real-life Rocky figure from the mean streets of Boston. 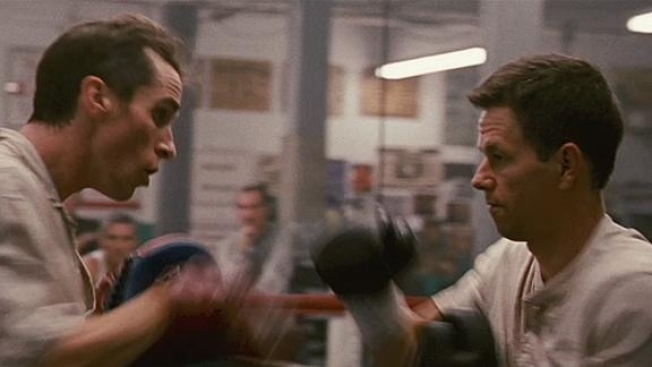 The film features another brilliant performance by Bale as Micky Ward's "squirrely" brother, Dickie, that is sure to earn him his first Oscar nomination. Actors admitting when their movies are terrible is one Hollywood trend we'd love to see more of. That, and more frisky Wahlberg. "The Fighter" opens in limited theaters Dec. 10.